Finally! Andheri gets it own personal Barbeque Nation.For those of you who are not aware of the brand, this concept started in Mumbai in the year 2006 and since then has branches in various cities around the country. 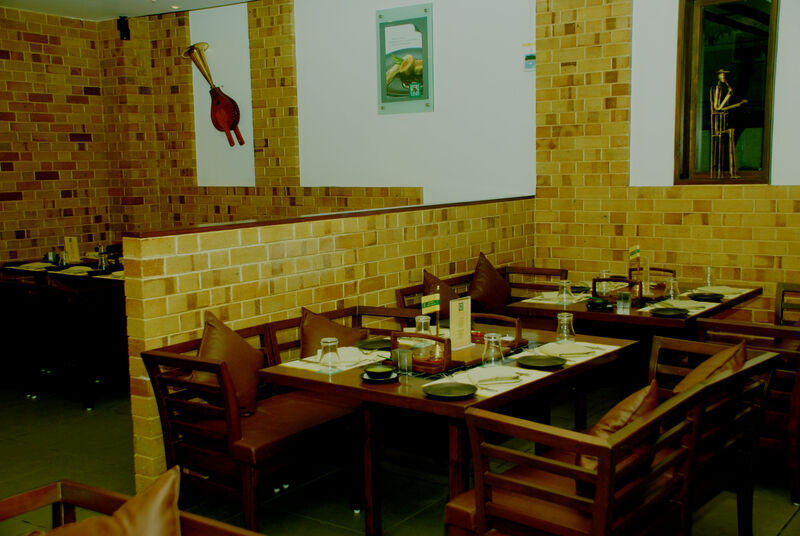 They have a prefixed menu where you select either the Vegetarian or Non-Vegetarian option and they are served with an array of starters, leading to the buffet with Salads, Main course and Desserts. I for one had never been to a Barbeque Nation in my life, which is exceptionally strange since I love experimenting with various cuisines but for some reason had never had a chance to visit a Barbeque Nation. 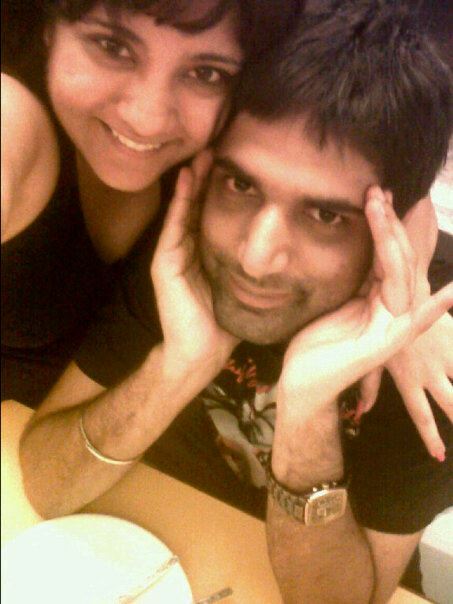 My dinner date on the other hand was a huge fan starting from his hostel days in Chandigarh. I promise he was salivating from the time I suggested to him I am invited to review BBQ Nation and asked him to accompany me. He went on about how he and his college friends would hang out their atleast once in two weeks and eat the amazing grills till they were absolutely full. In my head I was like, wow rich kids, in college I could never afford an all you can eat Buffet. But my visit here changed that and for a good reason. The Lokhandwala branch which was a first for me has a reception with one room on the left and the Buffet counter behind the Reception.They have maintained a standard decor in all their outlets with exposed brick walls, lots of wood and a well-lit place. Each table has a personalised grill embedded into them, where the customers can make their own food depending on their likings. You also have a variety of marinades to select from to give the finishing touch of your choice.This is followed by a Buffet meal and Dessert. On a daily basis they serve 5 veg or non-veg starters, A veg and a non-veg soup, 6 veg and 4 non-veg dishes in mains, 5 veg and 3 non-veg salads and 7 Desserts. You can also call in for their amazing cocktails, my favourite was the jeerapana Mojito which was a great infusion of the Classic cocktail with Indian flavours. And very refreshing, a perfect accompaniment with the Indian Cuisine as the hot weather. Anyway I thought the grill dishes were amazing, I ate so many that I had to really work hard to make place for the main course. I felt the non-veg starters and the veg main course were the best combination. For me I would suggest everyone who like me has not tried it out to definitely give it a shot you will be pleasantly surprised I can assure you. 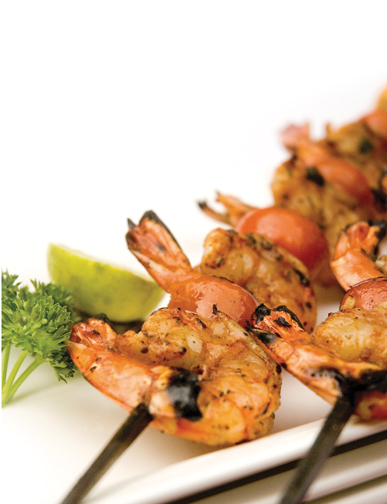 As always here are a few recipes we got from Barbeque nation which you can try out for your next Al-Fresco parties. 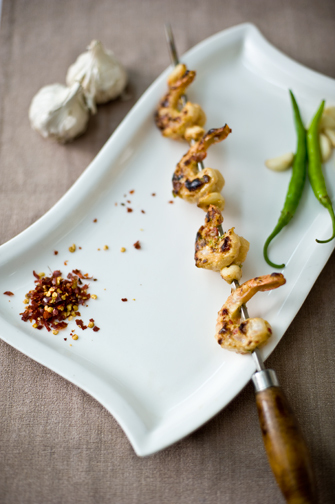 They also work as great starters if you plan to have just drinks and starters for your party. Combine onion, coriander, parsley, garlic, cumin, paprika and turmeric in a large bowl. Stir in oil. Add prawns. Toss until prawns are well coated. Cover and refrigerate for 1 hour to marinate. Preheat a barbeque on medium-high heat. Place half the prawns, in a single layer, on barbecue. Spoon over half the marinade. Cook for 1 to 2 minutes each side or until prawns turn pink.Transfer to a bowl. Repeat with remaining prawns and marinade. 2. Add chopped ginger, garlic and the onions. 3. Add lamb, channa dal red chilli powder, salt and mix it properly. 4. Add water and allow to simmer till the mix gets cooked and the water evaporates. 5. Take out fine mince twice. 7. 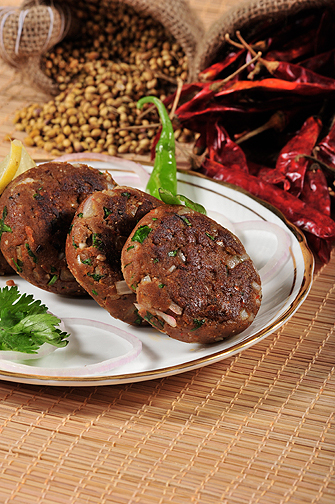 Flatten the balls and stuff with the mixture and make a tikki. 8. Shallow fry till golden brown. Serve hot. Posted on June 19, 2012 September 4, 2012 by AparnaPosted in Decor, Design, Food and Beverages, Lifestyle, Reviews, UncategorizedTagged alcohol, Barbeque Nation, Cook, food, grill, Indian cuisine, Mojito, Prawns, Shami Kebab. Sounds Great !! Must try this out soon ..